Class action lawsuit filed by former flight attendant Mandalena Lewis following allegations of sexual harassment and discrimination. WestJet says a proposed class-action lawsuit that accuses the company of failing to provide a harassment-free workplace for female employees is an abuse of process that should be thrown out of court. The Calgary-based airline argued in a British Columbia Supreme Court on Thursday that the legal claim would be better dealt with through a human rights tribunal or workers compensation board. 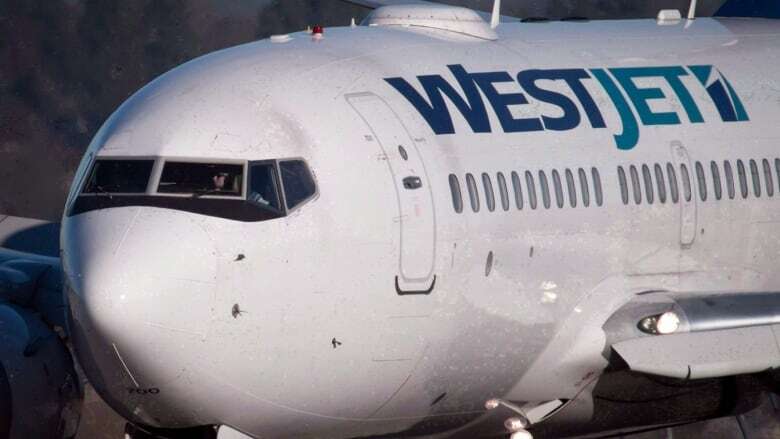 The company's lawyer, Don Dear, said WestJet is not disputing the substance of the allegations but believes the arguments are being heard in an improper venue. "This is not a defence of poor behaviour or an argument that sexual harassment is anything other than completely inappropriate and completely wrong," Dear told the court. "Any misbehaviour, any wrongful behaviour, any unlawful behaviour is in no way being condoned by WestJet." Former flight attendant Mandalena Lewis sued WestJet over allegations of gender-based discrimination, accusing her former employer of fostering a corporate culture that tolerates harassment against its female employees. The lawsuit is framed as a breach of contract, alleging the airline broke a contractual promise to prevent its employees from experiencing harassment in the workplace. It would be a waste of the court's resources to deal with the claim, Dear argued, accusing the plaintiff of bypassing the proper route for dealing with a human rights complaint or worker's grievance. "If this action is permitted to proceed on the basis of a contract, that in effect eviscerates these administrative boards that have been charged by the legislature to deal with these issues," he said. The plaintiff wants to punish WestJet and change its behaviour, which is more appropriately dealt with through a human rights tribunal, Dear said. WestJet's lawyer also took issue with the plaintiff's argument that the airline benefited financially from its failure to protect its employees so should have to relinquish some of its profits, calling it a "fanciful submission." Tim Dickson, one of Lewis's lawyers, said WestJet should be required to forfeit any profits it made by not making good on what he called the company's anti-harassment promise. This includes designing and implementing training programs, investigating breaches and disciplining and suspending violators, Dickson said, though he acknowledged the challenge of assigning a dollar figure to the amount. "It benefits from having this promise as a policy by saying: 'We are a company that does not tolerate harassment. We go the extra mile to ensure there is not harassment in our workplace.'" Karey Brooks, co-counsel for Lewis, disagreed with WestJet's assertion the courts were an inappropriate venue to hear the case. "It's not open to WestJet to dictate to the plaintiff the forum for her proceedings and she ought to be able to choose the cause of action and remedy that she thinks best suit her objectives," Brooks said. Brooks described how WestJet had gone "above and beyond" in its anti-harassment promise but its failure to deliver means it must be held to account. Human rights legislation is "wholly insufficient" for dealing with systemic issues and workers compensation law does not apply in this case because the plaintiff is not seeking compensation, she added. Brooks said outside court that, if approved, all members of the proposed class would automatically be included in the lawsuit before having the option of opting out. WestJet employs about 2,700 flight attendants but it was not immediately clear how many of those are women, she added. The hearing will conclude on Friday, however it will still be months until a judge decides on whether the proposed class action lawsuit will be struck down. Mandalena Lewis attended the proceedings alongside her family and several supporters. While she was hoping the judge would make a decision sooner, she says she's confident in the strength of her lawyers arguments. "So many people have come forward to me, I've gone through what I've gone through," she said. "I'm very confident that this will go through, because it has legs." "This has been coming for a long time, and it's time for the catharsis to take place."